Choices and Connections provides recreation and relationship opportunities for individuals in a group setting through exercise, crafts, volunteering and outings. Choices and Connections (CAC) is a leisure, recreation and activity day program that helps its clients develop meaningful relationships with their peers and also gives people with disabilities an opportunity to make a contribution to their community through volunteer work. It is one of the longest running Communitas programs. Nearly two dozen people living with disabilities spend all or part of their week at CAC. For many of these people , CAC is an integral part of their lives: it is their social circle and an available vehicle to be involved in the community. 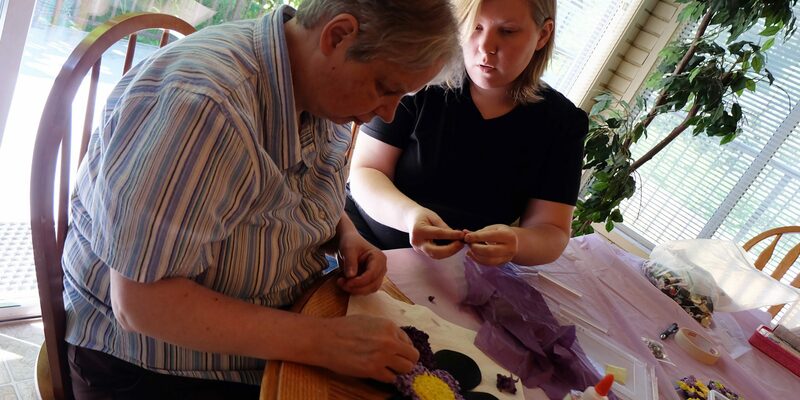 “The creative activities, volunteer opportunities and social interaction help participants live a full life,” says program manager, Claudette Iverson. For more information and to get involved contact the Communitas office.